The right side of the town hall (seen from the market place) is the previous clothmaker’s hall, largely dating from the fourteenth century. The building on the left side was erected in 1526 by the commission of emperor Charles V and served as a meeting room for his Great Council. But twenty years later the works were stopped. Only in the beginning of the twentieth century work continued according to the original plans. 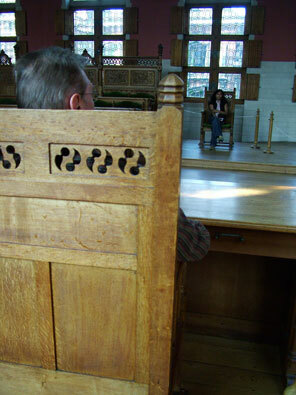 The town council of Mechelen holds its public meetings in the Council Room.